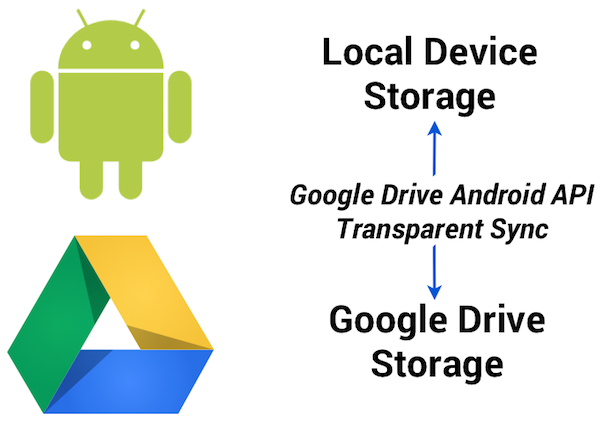 Google Drive is increasingly popular in the enterprise, and many organizations would like to leverage it as a replacement for their existing on-premises file servers. Moving physical file servers to Drive provides many benefits, such as reliability, cost-effectiveness and the ability to access the files from anywhere and any device. However, the storage structure of Google Drive, where files are owned by many different users, is significantly different from the centralized organization of a file server, where everything is under the control of a small number of system administrators. To address this problem, AODocs uses the Google Drive API to automatically transfer the ownership of files to a system account, and thus create a sort of “managed area” within Google Drive. With the Google Drive API, AODocs has complete control over the folder structure and the permissions of files owned by this system account. AODocs can be deployed in one click from the Google Apps Marketplace, which makes our application visible (and easy to try out!) for every Google Apps administrator in the world. 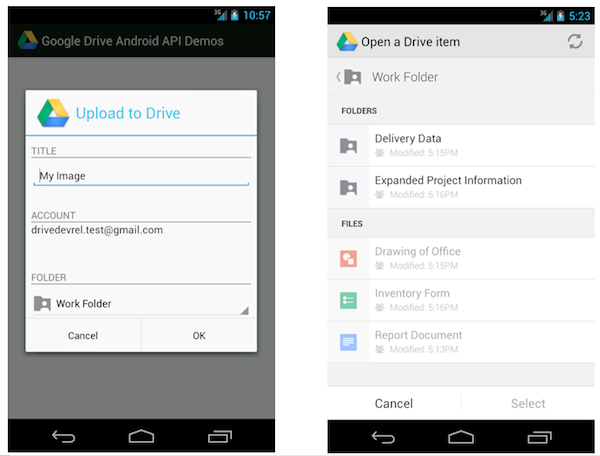 Companies who want to store their files on Google Drive may be concerned about losing control of their data (e.g. access to files being lost when an employee leaves the company) and controlling sharing permissions. AODocs uses a single system account (i.e. a Google Apps account belonging to the customer’s domain, but not used by any human person) as a “proxy” to control the files. When a Google Drive files is added to an AODocs library, the ownership of the file is transferred to the AODocs system account and the file’s writersCanShare attribute is set to false, so that only AODocs is able to modify the file’s permissions afterwards. Since all the files are owned by the system account, AODocs completely controls the lifecycle of the file (how they are created, in which folder they are located, who can change their permissions, who can delete them, etc). AODocs can thus provide higher-level document management features on top of Google Drive, such as configuring the retention time of deleted files, limiting external sharing to a whitelist of “trusted external domains”, or recording an audit log of file modifications. AODocs is designed to work seamlessly with Google Drive, and our top priority is to leverage all the integration possibilities offered by the Google APIs. We are very excited to see that new features are added very often in the Admin SDK, the Google+ API, the Drive API that will allow AODocs to provide more options to system administrators and improve the experience for our end users. Thomas is the CTO of Altirnao. Before founding Altirnao, Thomas has led a team of senior technologists and architects on High Availability/High Performance implementations of enterprise software. Cross posted on the Google Developers Blog.